Contact Tim Fiedler Jr., 563-582-8632 for more details. 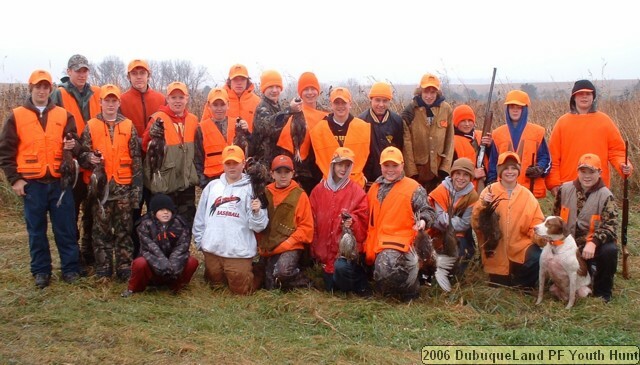 DubuqueLand Pheasants Forever will be sponsoring girls for this summer's Outdoor Journey for Girls (OJ) and boys for the Hunting and Conservation Camp (HACC) for Boys. OJ is conducting 2 camps: July 9 - 11 and July 31 - August 2. HACC is scheduled for July 17 - 19. DubuqeLand Pheasants Forever will be providing scholarships for these events. Please reach out to Bob Moldenhauer at prepbymoldy@yahoo.com for information. NOTE: The programs fill very quickly. Participants are taken on a first come first serve basis. 2018 Heritage Classic Youth Day Pictures. Special thanks to Friends of NRA for their grant to support our outdoor activities for youth and women. 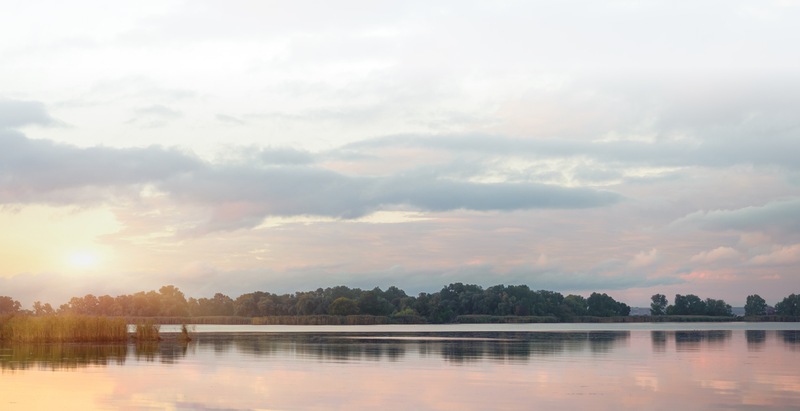 Working together to fund the Natural Resources and Outdoor Recreation Trust Fund. We need your help in signing CRP petition, CRP is critical to us and its the best program for wildlife period. 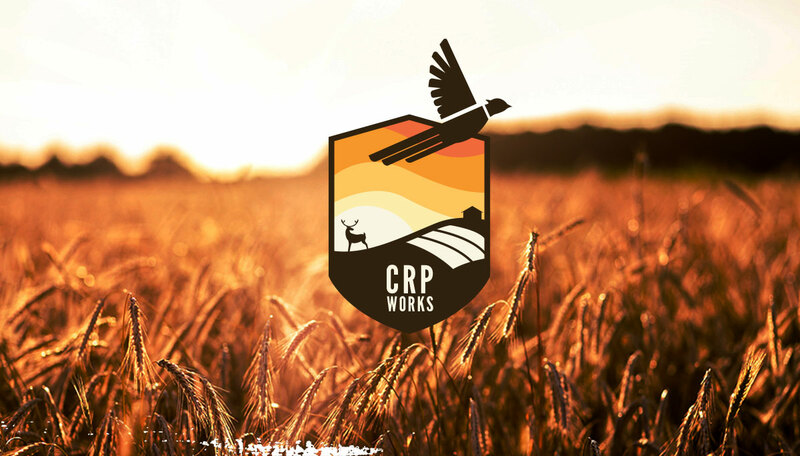 So please go to www.CRPworks.org and sign up, its easy. Please talk to anyone that will listen and get them to signup too. SPONSORS NEEDED. If you are interested in becoming a sponsor, let us know and our Sponsor Coordinator will contact you. For habitat improvement and seeding questions or assistance contact HABITAT FOREVER'S Habitat Specialist - Dave Reuter at 563-590-1908. Pheasant Forever Equipment available for rent. Details on the Firearm Legacy Program. Consider using our PF Habitat Specialist (Dave Reuter) for your project this year. 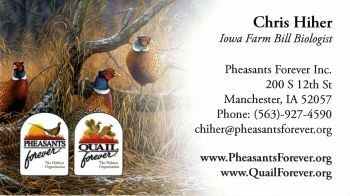 Dave Reuter's Business Card (Northeast IA Pheasant Forever Habitat Specialist). Monthly meetings are held on the 3rd Thursday of the month at the Iowa National Guard Armory on old 20. Meetings start at 7:00 P.M. For more information, email the DubuqueLand PF president at president@dubuquepheasants.com. Pheasants Forever is a nonprofit organization dedicated to the protection and enhancement of pheasants and other wildlife populations in North America through habitat improvements, land management, public awareness and education.